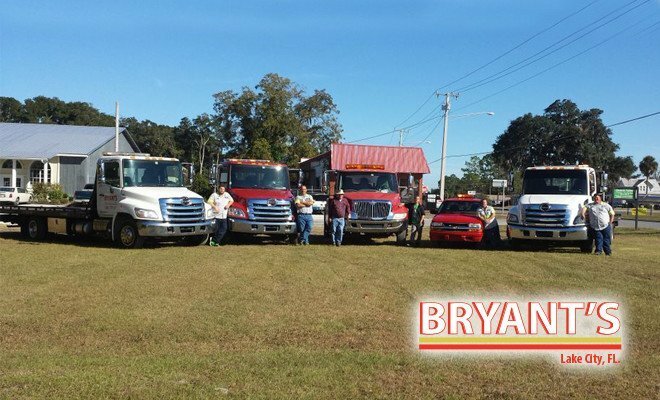 Bryant’s Towing is located in Lake City, Florida which is near the intersection of Interstate 75 and Interstate 10. We have put together this guide to help those who have broken down in or near Lake City so that they can quickly and safely get their vehicle off of the side of the road. 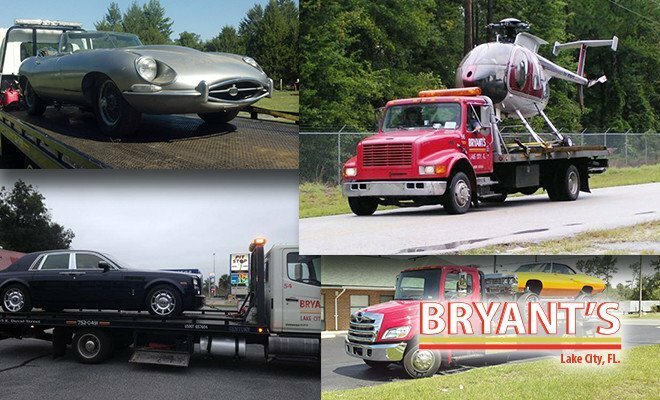 This guide also applies to non interstate breakdowns and roadside assistance. 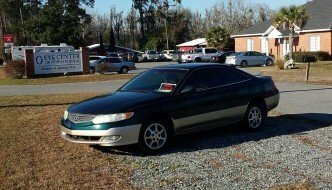 First, make sure that you’re vehicle is in a safe location off of the highway, preferably to the right side of the road and out of the median area if you have the choice. Next, you will need to figure out where you are, the state of Florida has mile markers on all major interstates every mile. If you cannot find a mile-marker, please prepare your last known location and look around for some kind of distinctive landmark such as an overpass or billboard. If you are not on the interstate, please give the closest cross road in the area. If you need to exit your vehicle to check your location, or for any other reason, make sure to grab both your cell phone and your keys. Gather your location information, your AAA card, the information about the make and model about your car. If you have a preferred repair shop, call to check their availability, as well as finding their address. 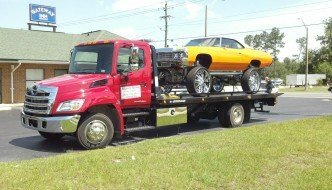 If the vehicle needs to be towed to your home, have that address ready as well. 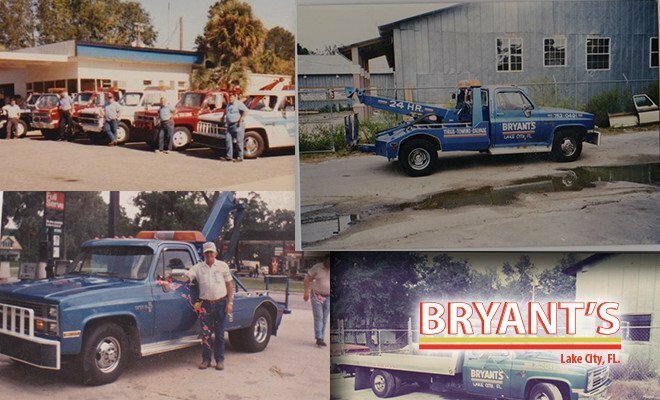 Call AAA at 1-800-222-4357 or Bryant’s Towing at (386)-752-0491. Please try to stay off of your cell phone so that we can reach you if we need driving instructions, and so you do not exhaust your phone’s battery. Our usual estimated arrival time is within 45 minutes of receiving the call from AAA. 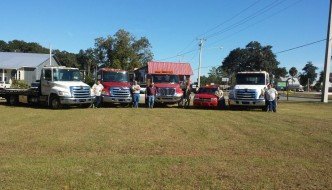 Need Emergency Roadside Assistance in Lake City Florida? Give us a call! Car wont start this morning? Find a flat in your tire and need to get to work? 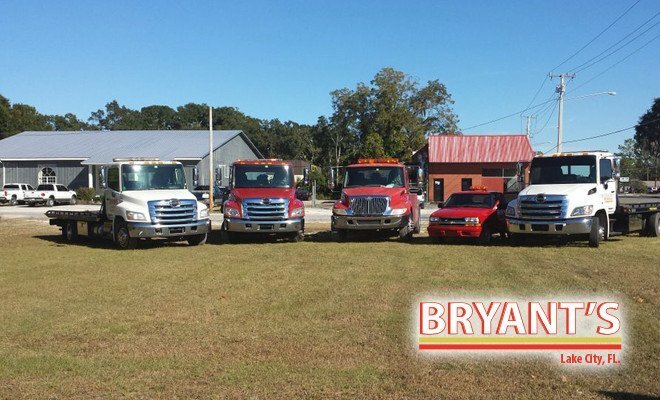 Bryant’s Towing brings emergency roadside assistance Lake City to help you in your time of need. 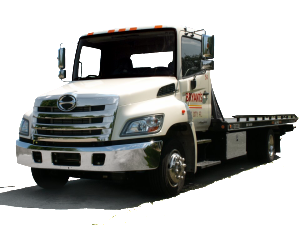 We have a full fleet of flatbed tow trucks in the case that your vehicle will need to be towed. Changing a flat tire with a spare. Adding air to a low tire due to climate change, ect. Jump starting a dead battery. Bringing fuel to a vehicle that has run out. Winching a stuck vehicle out of mud or sand.